No one loves me. Oh, I get Valentine’s cards from my kids, occasionally. Or I used to. That started to drop off after 6th grade and now that they are all living on their own and adults, that’s more of a memory. My parents are gone, God rest their souls. My husband is sailing around heaven in a 57 ft. sailboat. I have some great friends, new and old, who are dear to me. 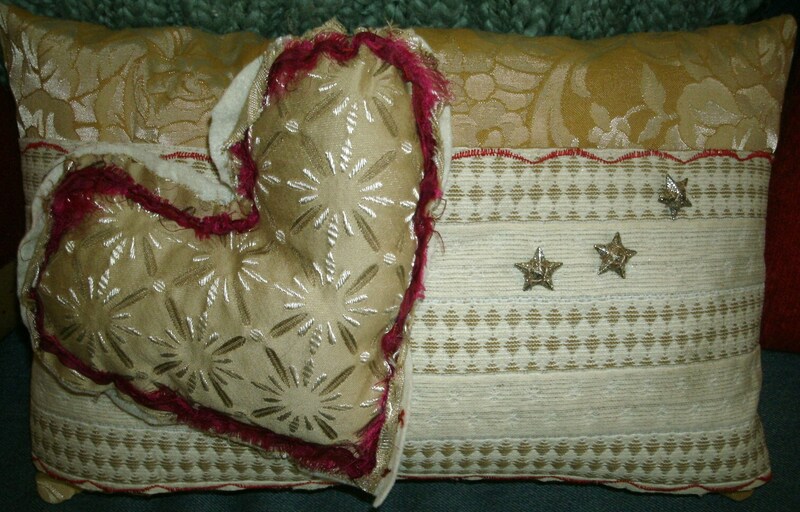 But the best thing about Valentine’s Day to me is that three cute pillows I made sold at the gift store down the street. I’m the one who gets scheduled to work until 10 p.m. on Valentine’s Day because no one loves me. It’s true. Approaching Valentine’s Day alone could be daunting and although there are lots of opportunities to show love to strangers or go to a Cupid is Stupid party, I have a better idea. Why not take a day to acknowledge love that you have given and has been given to you at different stages of your life, even if they are over. Take a day to know that you have been loved, whether it was grandma, your dad, your infant child, your best friend in 3rd grade or that fumbling, passionate prom date. We know what being loved feels like and it’s OK to celebrate that feeling and bathe in it – at least for one day. Jump start love for yourself. Maybe you love your house, or your yard, or your neighborhood or the beach or a fireplace or a favorite spot in town. Go there. Spend time with the place you love. Sit. Take in the smells and the feelings. Take pictures of your favorite place and start a scrapbook of places you love. You don’t have to post them or pin them. Just keep them for yourself as a love letter to you. It’s not a waste of your time to take pleasure in what you love. Love the skin you are in. So many of us see negatives in the mirror. Take a good long look. What do you love about your appearance? Is it your hair, your eyebrows, your smile? Is it the way your clothes fit or the way they improve your body? Does red make you smile? I bought a red chiffon blouse with silver sparkles at the neck and sleeves for my Valentine’s Day outfit, even though I sat at a cubicle all day. My desk mate offered me a piece of Godiva chocolates she got from her husband. I doubt if she had thought of it if I had been wearing black. It didn’t matter that my blouse was a size 16. It was a Valentine to my co-workers. Speaking of skin, dig out some of those skin care products you got for Christmas. In fact, go through the drawers or shelves where you stash your body lotion, face cream and anti-aging Olay bottles. First of all, clean them out and throw away the ones that are too old and still in your guest bathroom basket. Toss the ones that smell like your grandmother. Fill the trash can with the care products that you no longer care about. Next, smooth on the ones that make you feel pampered. Lather the body lotion all over. Try a facial cream or age spot removers or give yourself a 30-minute whitening treatment for your teeth. Do the same with your hair products. Throw away the hair spray with the stuck nozzle. The mascara that clumps, the lipstick that is no longer creamy. Polish is another demon. Lids that won’t twist, clumps in the bottle, solids in the hairs of the applicators. Look around. Take the hair out of your hairbrush and throw it in the sink for a soak. All those overcrowded baskets and containers need a fresh start. Make sure everything is fresh and nothing you grab will be tired, dried up, cracked, stuck. Approach your mirror knowing that nothing you will put on your body has the potential to do harm.